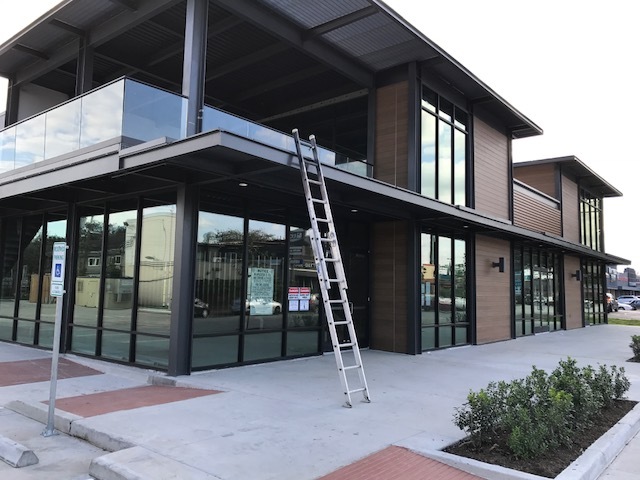 HOUSTON – A retail center is being developed on Lower Westheimer on the site of the old Ruggles Grill. The 6,500-SF center, called West Mon Plaza, is nearing completion. It is located just east of Montrose Boulevard in the 900 block of Westheimer. Tenants will include Velvet Taco, Chills 360 and East Hampton Sandwich Co. Lauren Heimann and Josh Jacobs of EDGE Realty Partners represented the landlord. Ruggles Grill, founded by Bruce Molzan, was one of Houston’s most popular restaurants in the 1980s and 1990s before closing several years ago. The site is directly across the street from the former location of the historic Felix Mexican Restaurant, opened in 1948 by Felix Tijerina, who was elected four times as national president of LULAC. Felix served the most outstanding cheese enchiladas in Houston and its closure was a great loss to the city.